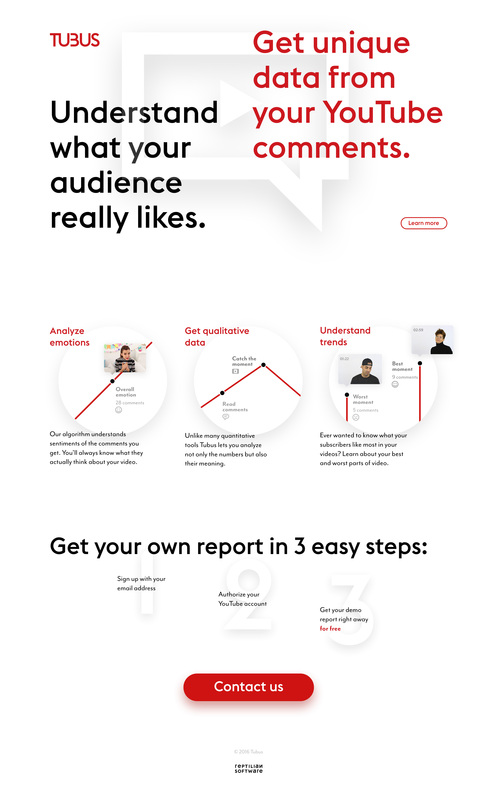 Launching soon page for ‘Tubus’ – an upcoming analytics platform that scans your YouTube comments to provide more meaningful statistics. Just a humble iteration of the project pre-launch. The whole page and it's mobile version are built on web-publishing tool—Readymag.